The Peninsula Mandalay is an 18 story condo tower located in South San Francisco. Floor plans range from 1-3 bedrooms with many residences boasting views of the San Bruno mountains and the bay. 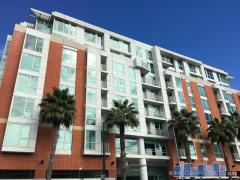 The convenient location offers commuters easy access to BART, Caltrain, as well as I-280 and the 101. Have any comments or questions about The Peninsula Mandalay? Ask your question and/or share your thoughts about this Building.